Have you heard of the whoodle dog breed? Are you curious to learn more about this poodle and soft-coated wheaten terrier mix? Are you considering getting a whoodle, and are you wondering if they would be a good fit for your family? In this article, we’re going to go over everything you need to know about this mixed breed dog, including personality traits and physical health. There is a lot of mixed opinions about mixed breed dogs. Plenty of people are all for the new varieties of pooches, while others don’t find the idea nearly as appealing. We’ve talked about purebred dogs versus mutts before and gone over the various pros, cons and arguments for each side of the debate. 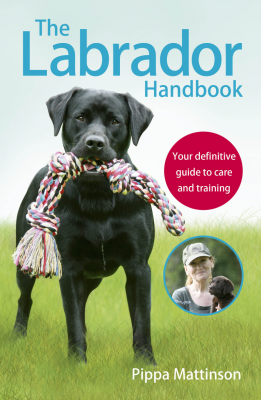 If you’d like some additional reading about hybrid dogs and the ongoing assumptions and controversy that surround them, you should also check out this article by Carol Beuchat. Sometimes called a sweatenpoo, wheaten-doodle or a wheatenpoo, this mixed breed dog is a blend between a poodle and a soft-coated wheaten terrier. Because whoodle dogs are still new, there hasn’t been enough time for breeders to develop standards, discover consistent personality traits, or identify any serious health or behavior concerns. Whoodles, like other mixed dog breeds, take traits seemingly at random from either side of their lineage, which makes each individual whoodle unique. Because of this huge range of lineage traits, adult whoodles vary greatly in height, weight, coat color and texture, and health. In general, many happy whoodle owners have reported their pups to be delightfully playful and energetic dogs that are eager to please. Let’s take some time to explore the parent breeds of the whoodle so that we can better understand the range of personality, health and appearance found in a wheaten terrier poodle mix. The soft-coated wheaten terrier, also known more simply as the wheaten, is a mid-sized sporting terrier. Wheatens are originally from Ireland and have been around for more than 200 years. They range in size from 16 to 20 inches in height and tend to weigh in from 30 to 50 pounds. They have an average life span of 10 to 13 years. Wheatens were developed from a medley of local farm dogs, and share ancestry with the Irish terrier and the Kerry blue Terrier. Sporting a wheat-colored, silky coat, the wheatens are known to be easygoing for terriers. They are intelligent, energetic and playful. Wheatens are good dogs for training, but don’t react well to harsh or heavy-handed punishments. Wheatens have a reputation for being great guard dogs who won’t bark without reason. They usually are observed barking only to alert their humans about strangers or other things of concern. Bred for the cooler weather of Ireland, soft-coated wheaten terriers do well in temperate to colder climates. Concurrently, they are at risk for overheating in warmer climates and on especially warm or hot days. Since the soft-coated wheaten terriers were bred to be working farm dogs, they do have a prey drive. Unless they are socialized with other animals as puppies, they may not be safe around other pets such as cats. Considered to be great with children, wheatens have a great reputation for being friendly and delightful family dogs. A popular breed of dog, the poodle originated in Germany as a water sporting dog. Poodles specifically were used for water retrieving, such as duck and waterfowl hunting. Poodles are considered to be one the most intelligent and trainable breeds. A popular feature of poodles is their fluffy, hypoallergenic coats, which are soft, fashionable and a wide range of colors. Highly energetic, both physically and mentally, poodles need plenty of exercise and mental stimulation. Standoffish with strangers, it can take time for a poodle to warm up to a new person. The larger, standard-size poodles are the better choice for families with small children. All poodles, regardless of size, should be socialized to be good with children and other pets. A stable and relaxed home gives the best environment. Coming from two intelligent breeds of dogs, whoodles tend to be quite smart and easy to train. Despite a friendly disposition, whoodles are known for having a stubborn streak. Whoodle owners all over report their pups to be a bit hard-headed. 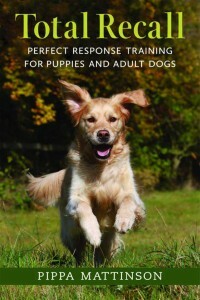 Early and consistent positive reinforcement training is best. Whoodles are moderately active, requiring regular walks and playtime for exercise to maintain their health and fitness levels. If socialized early and correctly, a wheaten poodle mix can do well in households with children and other pets. Their coats are more like hair than fur. 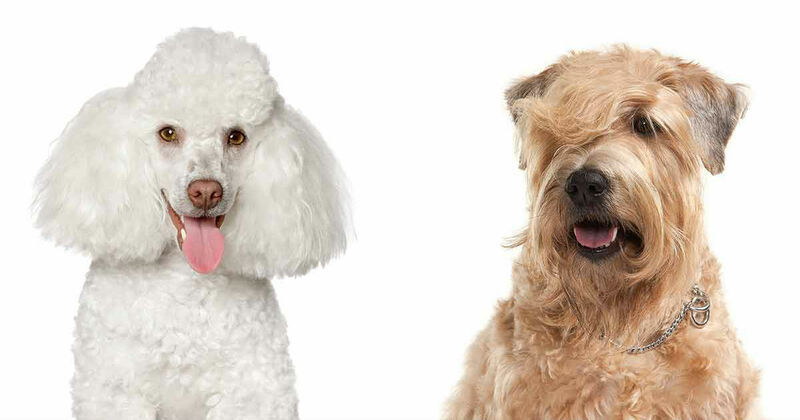 Their coats need to be groomed consistently to avoid matting and skin irritation, and should be clipped regularly. Whoodles come in a range of sizes, due to their poodle lineage having a variety of sizes. Whoodles can be found in miniature, medium or standard size, with a corresponding weight that ranges from 20 to 45 pounds. The combination of a curly poodle coat and a silky wheaten coat make a whoodle’s coat a toss-up. They range from nearly straight, corded to curly. They can be medium to long in length. However, their coats do tend to be rather dense. You may have to groom your whoodle using the same methods as your average poodle owner. Coat colors also come in a wide variety. Whoodles have been bred in colors such as black, chocolate, red, silver, cream or apricot. Many will argue that hybrid dogs have higher virility than purebred dogs. While this has a basis in scientific fact, it’s not recommended to expect a crossbred dog to be naturally healthy. A hybrid dog breed such as a whoodle is vulnerable to the issues and diseases of both parents. Because of this double whammy of risk, we’re going to go over the health risks and concerns for both soft-coated wheaten terriers and poodles. If you are considering adding a whoodle in your family, it’s very important for you to understand all the possible health issues your pup may be at risk for. Knowing the health concerns for each parent breed will also give you a knowledge base to work from when interviewing whoodle breeders. Poodle health problems can include kidney issues, thyroid issues, gastric dilation volvulus and hip dysplasia. Ear problems are also prevalent due to their nonshedding hair growing into their ear canals. Hair combined with wax and dirt buildup can cause blockages and infections. Consistent ear cleaning and care is needed. Poodles are also commonly affected by Addison’s disease. This is a hormonal disorder that occurs when the adrenal glands aren’t properly producing the hormones cortisol and aldosterone. Aldosterone regulates the levels of hydration and proper balance of electrolytes in the body. The symptoms to watch for include weight loss, excessive thirst, reduced appetite, vomiting, diarrhea, weakness, lethargy and abnormal mood behaviors. Thankfully, Addison’s disease is treatable with medications if caught early. Wheatens tend to be relatively healthy, but are known to suffer occasionally from a few diseases or issues. 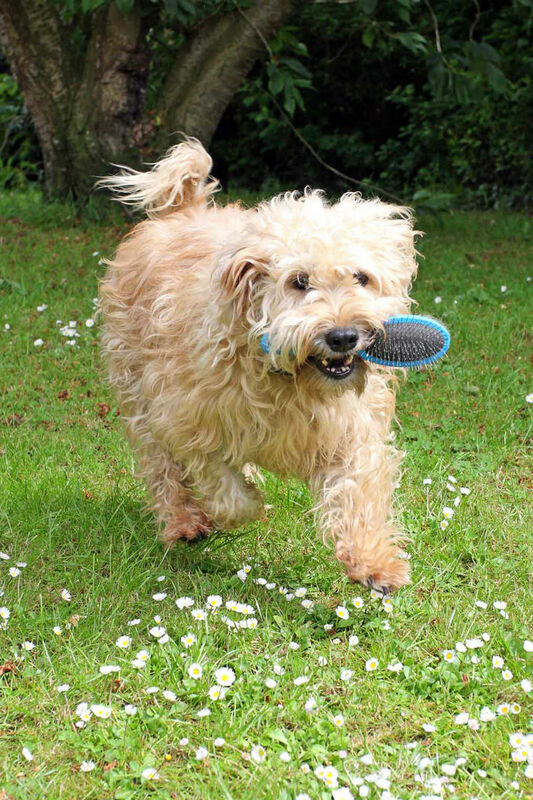 There are two protein-wasting conditions that soft-coated wheaten terriers are known to have. Both can be managed with strict diet and medications but only if caught early. One of these conditions is protein-losing nephropathy, known as PLN. Seen in large breed dogs, with females known to be especially at risk. This condition stems from the filtering properties of the kidneys being damaged. The kidneys not filtering properly results in the loss of blood serum and protein into the dog’s urine. The other protein wasting condition is protein-losing enteropathy, or PLE. This condition is when dogs are unable to properly absorb protein from their food during digestion. Symptoms for PLE include lethargy, vomiting, diarrhea tinged with blood or mucus, decreased appetite, and fluid buildup in the abdomen or chest cavity. Other health issues soft-coated wheaten terriers are known for include Addison’s disease, renal dysplasia, inflammatory bowl disease, allergies and atopic eczema. An important question about bringing any dog into your home is if the dog will be a good fit for your family. Most whoodle owners have found their pooches to be friendly and non-aggressive, making them a good dog for a home with children and other pets. Their easygoing disposition means they do well in apartments or other smaller living spaces. A laid-back nature leaves whoodles as relatively nondestructive dogs, and with proper training, can be trusted to be unsupervised for periods of time during the work day. As long as whoodle puppies have been well-socialized and properly trained, they are great candidates for family pets. Being an unrecognized and still relatively rare breed of dog, finding a whoodle puppy is going to be a chore. 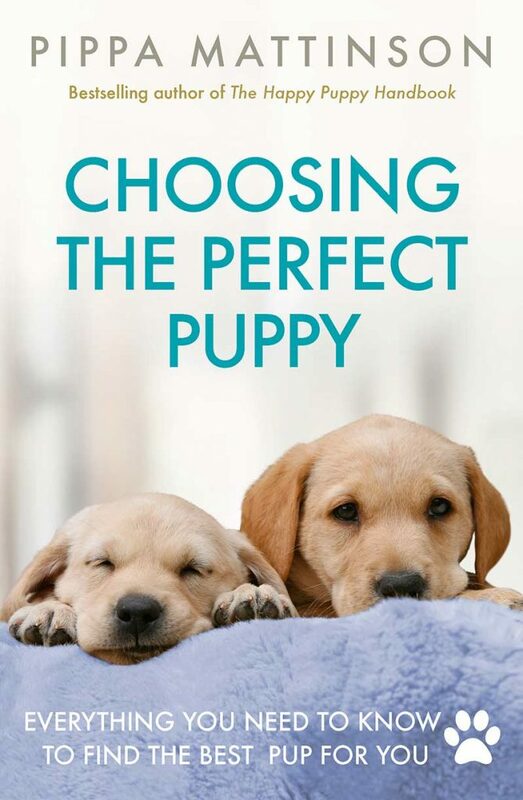 Because of the wide range of possible traits, both physically and personality wise, you’ll want to handpick your puppy. An online search for a breeder is a good place to start. You’ll also want to ask around for recommendations for reliable breeders. Check with any breed fan clubs online, or ask your local animal shelter, groomers or veterinarians. You’re going to want a breeder who’s done the work to screen out health and personality problems from both parents. Regardless of a breeder being a small hobby breeder or a professional breeder, ask to tour their facility and meet both parents of the puppies. As with checking out any puppy breeder, you’ll want to inspect not just the puppy’s area for cleanliness and care but the rest of the home. This includes areas the parent dogs and other animals have access to. 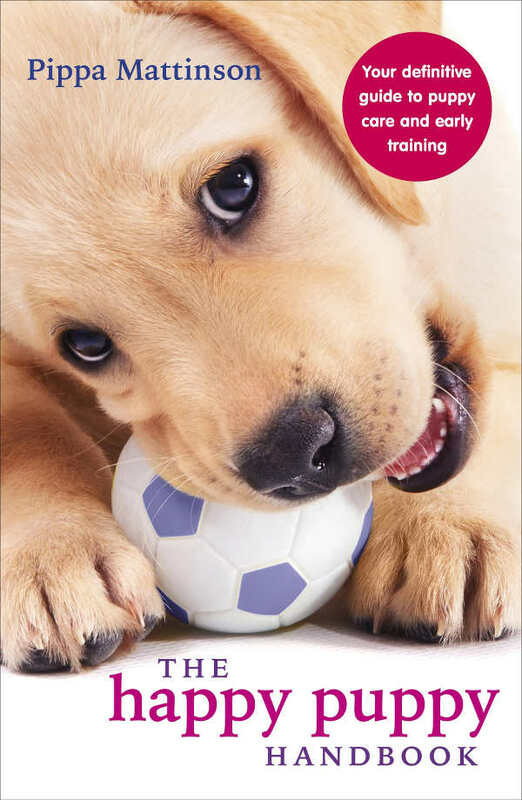 You’ll want to be sure that puppies are being properly socialized and handled. Be aware of any breeders who segregate puppies for any reasons other than health or disease. Be wary of any breeders who always have puppies available or who are breeding multiple litters at a time. Being a popular “designer” hybrid breed, there are unfortunately going to be fashion breeders who are simply trying to turn a profit and don’t have the animal’s health or well-being in mind. We’ve explored the origins of the whoodle, checking in with the history and health of both the poodle and the soft-coated wheaten terrier. Whoodles are at risk from health conditions either parent breed is prone to. Thoughtful and selective breeding leaves them as relatively healthy dogs. They tend to be friendly, easygoing, sweet-tempered dogs. With proper training and care, whoodles can be trusted around children and other pets. They are safe to leave alone for periods of time, comfortable in smaller living spaces and not prone to barking. Whoodles are also good in apartments. Do you have a whoodle? What do you love most about your canine companion? We want to hear from you in the comments below. I have a woodpecker named Jemma, she is the best!! Easygoing, playful and loves all. She brings joy to everyone she meets, I found the perfect dog! I have a male Whoodle and he is a wonderful dog. His name is Winston and he is 15 months old. He is medium size and weighs 37 lbs. He is very loyal, energetic, has a delightful personality- loves everyone! He gives everyone the wheaten welcome when they come over but then settles down fairly quickly. He is an excellent “alert dog”. He always lets me know when someone is close to the house. He is very smart- he is bell trained and knows several commands. Potty training was a bit of a challenge but once he got it we were good! He loves his toys but can be destructive with them. I got him from a breeder in St. Maries, ID. I highly recommend a Whoodle! Where can I find a Whoodle rescue pup or young dog? i had a wheaten who lived to be 14. I have had labs too and was looking at a golden doodle but may be a whoodle would be the best of all worlds. Very eager to talk with a breeder. My daughter’s 9 year old Woodle Ruby is as good a family member as could be possible. She’s very smart, highly energetic, consistently obedient and of course as cute as can possibly be. She grew up with 3 girls in the family along with my daughter and hubby, and fit right in from the beginning. I just adopted a black whoodle puppy from a rescue about a month ago. She is the sweetest dog. She loves my kids and everyone she meets. She is curious and loves to play with my cat. She already learned four commands. Super smart too!! Hi can you tell where I can find a whoodel. Very hard to find a breeder. I’m in Southern California. I have a three year old Black Standard Whoodle named Jill. Jill is the sweetest natured dog I have ever had, and has never met anyone that she didn’t seem very happy to meet. She is very powerful, so you must be careful when playing with her because she can accidentally hit you in the face with her paw, and you will definitely feel it. Her coat is very dense, and luxurious. It has a bright shine, and is wavy. The hair on her ears is straight, and we keep it long so she looks like she could do Pantene Shampoo commercials. She does have a very good appetite, so we have to be careful about the amount she eats, and making sure she doesn’t eat any of her Brother or Sister’s leftovers. She can run extremely fast. We live on four acres, and she loves sprinting the entire length of the property when the trash truck or UPS truck drives by. I highly recommend getting a Whoodle. Jill is such a sweetheart, and everything I have read about Whoodles says that it their typical personality.